If subtle blossoms are more your style than showy tropical blooms, the delphinium deserves your attention. 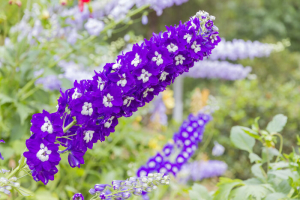 This flower spread quickly across the ground to form dense clumps of foliage topped with cute purple flowers. 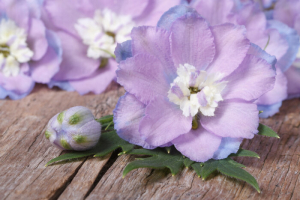 Aside from being a great bedding plant for filling in around trees and shrubs, this flower symbolizes some deep emotions and concepts. 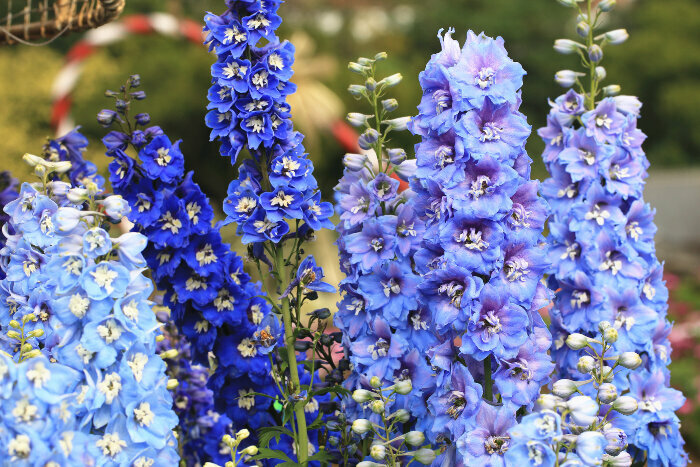 Get yet another reason to plant these attractive additions in your yard by checking out the delphinium as a symbol. 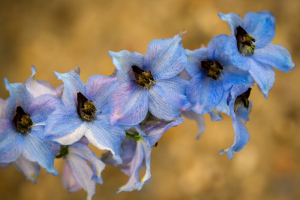 What Does the Delphinium Flower Mean? Delphinium is the most refined named for this meadow flower, but you might know it better as lark’s spur, knight’s spur, larkspur, or bird’s claw. The delphinium name is derived from the Greek word for dolphin. If you pick a single bloom from the tall spike on the plant, you’ll notice it looks like a leaping dolphin from the side. 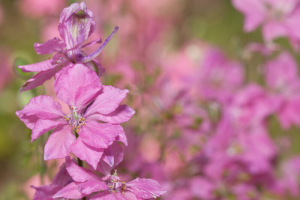 This humble flower grows wild in both Europe and the United States, so it was a common dye plant for both Native Americans and European settlers who moved in with them. Aside from being picked for dye, this plant was also gathered to communicate cheer and good will towards others. It’s also considered a protective plant in traditional lore because peasants used to pick the flowers and carry them to protect against scorpion stings. Some people exchange these flowers to encourage each other to reach their goals, while others plant them in remembrance of lost loved ones due to the deep blue color. The different colors of larkspur are limited due to the genetics of the plant. 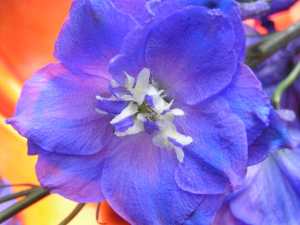 Blue is the most common wild color, which carries a dignity and grace. Light blue is also common, along with white, to represent the power of youth and new life. 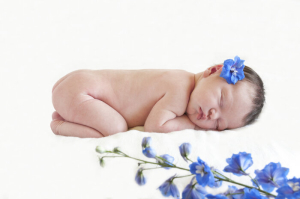 Pink carries a similar color meaning, making it a great way to celebrate the arrival of a daughter or grand-daughter. Like most flowers growing freely throughout Europe, this plant was used in medieval times as a medicine. People used to take it to kill off internal parasites, relax and fall asleep, and recover a lost appetite. However, the toxins in this plant also cause the blood pressure to drop dangerously low. Difficulty breathing and a slow heart rate make this flower dangerous enough to avoid for internal use. 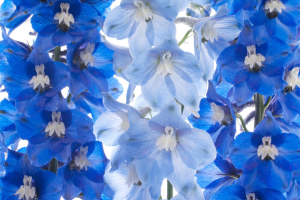 Grab a few dark blue larkspurs when you want to encourage a family member to try their best at a test or job interview. 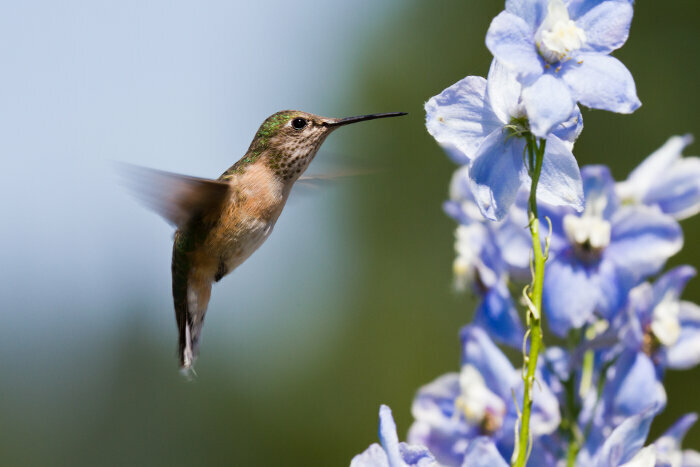 If you know someone with a July birthday, these flowers make the perfect gift since it’s the birth flower of that month. 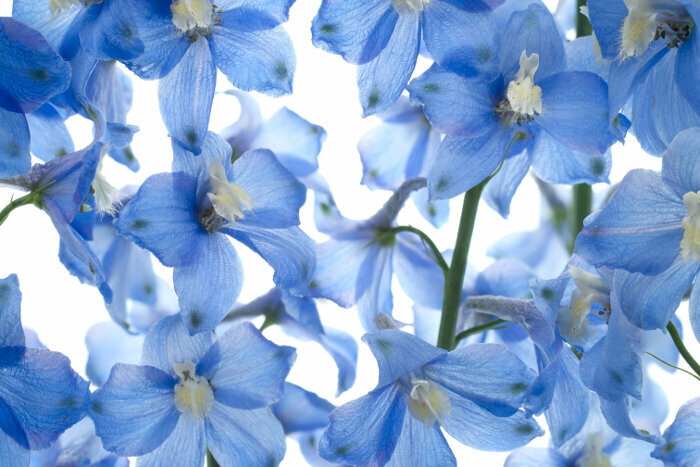 The Delphinium flower’s message is protect yourself from the dangers of life so nothing stands in the way of your success.